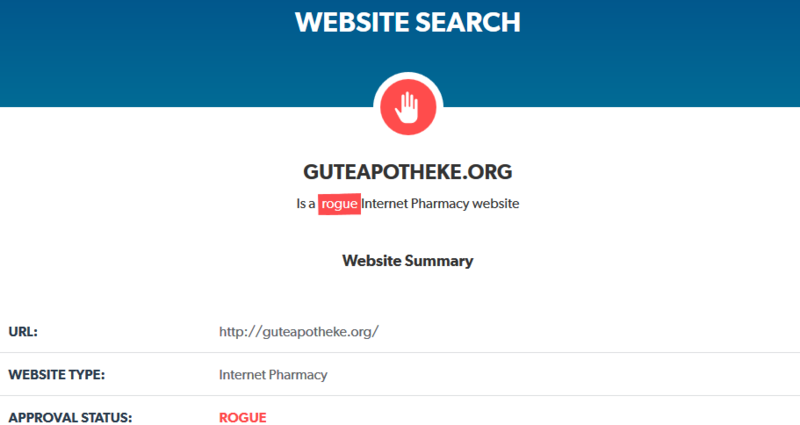 GuteApotheke.org is the domain address of the online pharmacy that seems to be located in Europe, or at least that’s what I could find on their main website. From as much as I noticed, the pharmacy is offering their website in Deutsch, meaning that all the information is found in this language. We are going to use translators trying to find out as much information as possible about this company. Also, since all the information is written in Deutsch on this website, I can suppose that the online pharmacy is based in Germany. According to the information that I have managed to find, the company is claiming that all of the medications found on their drugstore are all of a high quality and they are meeting absolutely all the necessary standards with certified medications. Since the products are being manufactured by well known pharmaceutical companies, people can be assured of a high quality of drugs and their safeness and effectives. Unfortunately, I was not able to find too much information (detailed information) about this company and that’s why, I am going to find all the information possible and as I said, with the help of translators I am going to try to find as much information as possible and explain it all through my review. Customers are having the option to change the website interface and information to Italian or French, but this won’t really help us since there’s no option to change it to English. From as much as I noticed by checking through other drug categories, I have noticed that they are not having so many drugs as the ED medications (plus to that, other pharmacies have a much bigger assortment of ED drugs) and I wouldn’t say the category of drugs is so big. I was trying to find if customers have any options to find their needed drugs by letter or by search function but none of these options are available on the website. This means that only drugs shown in categories of drugs can be found and they are not so much. This is the reason why I am going to rate this pharmacy assortment of medications with 3 stars. In order to check the if this online pharmacy is offering good prices for medications I am going to need to check the ED medications in particular. All the prices are in EUR since this is an European based pharmacy. 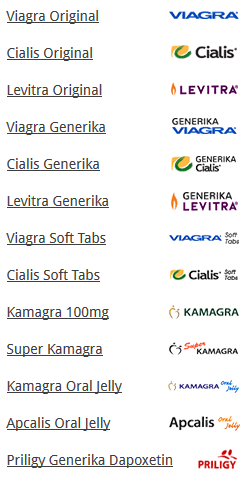 So, by doing my research here’s what I found out: The brand Viagra price per pill of 50 mg is anywhere between 9 to 6.90 EUR depending on how many pills you purchase. They also seem to offer free bonus pills as well. The price per pill for brand Cialis 20 mg is anywhere between 11.50 to 7.23 EUR also depending on how many pills you purchase here. I have then checked the prices for generic versions. For example, 50 mg of generic Viagra is going to cost you 2.90 EUR but it can be up to 4.94 EUR per pill depending on the quantity of pills. Here’s what I found on their website. Another medication that I am going to pay attention to its price is generic Cialis 20 mg where the price per pill is anywhere between 6.58 EUR to 3.58 EUR also depending on the quantity of pills you decide to purchase. I have also checked the prices for generic Levitra 20 mg where I found out that the price per pill is anywhere between 5.75 EUR to 3.59 EUR per pill. To be honest, these prices are not sky scraping, however they are not really attractive as other online pharmacies are offering even better prices, much better than here. For example, the lowest price for generic Viagra 50 mg is 2.90 EUR per pill. That’s more than 3 USD per pill. There are pharmacies with prices lower than 1 USD per pill and this means the prices as thrice as much as they are on other pharmacies. All in all, I think that this online pharmacy deserves a rate of 3 points for the price affordability. First of all, I was trying to get information if this online pharmacy is offering international shipping or not, however, I was not able to find any information about this as no information suggests if they are offering shipping to all countries or only to countries such as Italy, France and Germany (as the languages on the website). In addition to that, the pharmacy has not shared any information about what company the pharmacy is using to ship the parcel. I have only found out what is the delivery fee as there is such information shared on the website and what it is the delivery timeframe. According to the information there, the delivery is anywhere between 7 to 14 days and the shipping fee is 13.90 EUR per package. There is no delivery overnight, there is no other shipping option (only one) and there is no option to track your parcel online. So, we don’t know where exactly the pharmacy is shipping, we know that the shipping fee is really big, we have no multiple shipping options and no overnight shipping option, no free shipping and no tracking. I doubt that for all the information I managed to find about shipping the pharmacy deserves more than 2 points. I did have managed to find information suggesting what payment methods GuteApotheke.org pharmacy is accepting. So, taking in consideration that information I found out the payment options available include: Visa credit card, master card, and 2 forms of bank transfer. I do think that the fact they accept credit cards that’s really good, exactly as the bank transfer, however, I still think that customers may want to pay using other forms of payment and that’s why, this may not be enough to satisfy all customers’ needs. In the end, my rating for this unit is 3 stars. I checked the page speed data for this online pharmacy’s website because it is very important for a website to offer good page speed data as a lot of customers may not want to wait for too long until the pages for a site would open up. According to the page speed insights test, the mobile version has some drawbacks, the score is 56 yellow marked meaning it has average page speed. The desktop version is a lot much better, green marked meaning it has a fast page speed scored with 92 out of 100. The page speed data is fairly good with some drawbacks, that is why my rate here for this information is going to be 4 stars. GuteApotheke.org is an online pharmacy that does not seem to provide a user friendly mobile version of the website. Except for the fact that this online pharmacy is having loading issues, they do not offer a user friendly website and that’s because there are 2 issues that should be fixed. The page is not mobile friendly and that’s why the page can be difficult to be used on a mobile device. Since the pharmacy is not having a mobile version for their website and so many problems are here, I am not going to be able to rate this online pharmacy with anything more than 1 star. GuteApotheke.org does seem to offer a secure connection on their website and that’s really good. Customers can check this themselves, you can check for the green lock near the address bar where you enter the domain address of the site. if the green lock misses it means the site does not have a secure connection. This website does have the green lock and that’s really good. However, I have noticed there are some issues. For example, they do use a secure connection but it is only 128 bit SSL encryption which is a lower security level. Hackers may have issues getting personal data of the customers, however I still think that a better security level of 256 bit SSL encryption should be set. In addition to that, the owner information is not shared and that’s quite a bit of a problem. The pharmacy uses a security level and that’s good, but it would be much better if they would have use a higher security level and the owner information to be set. Until then, my rate is 3 stars. I was searching if this online pharmacy’s website is being protected by an antivirus software but regretfully, I was not able to find anything. The site does not have an antivirus and this means that the customers’ gadgets and computers are not being protected and that’s why an antivirus is so important. Customers without a antivirus installed on their own device are having a high risk to get their gadgets catching viruses and other internet threats. For this reason, I am going to rate this pharmacy with a rate of 1 star since it is so important for this company to install this software and provide customers with high security. I have found out that customers who want to order here doesn’t have the need to create an personal account and that’s a good thing. What I do not really love is the fact that customers are redirected to 3 different domain addresses until they are going to be able to order. I generally do not love the ordering convenience on this pharmacy. customers can change the language on the website, but there’s no option to translate the information to English. You can only change it to Italian, French and Deutsch. So you can’t change the language to English and you can’t change the currency so you have to check all the prices in EUR. We don’t really love this thing. In addition to that, I started to notice that the page loading has some issues I had to wait for some time (although google page speed data showed good results, remember that you’re redirected to 3 different domain addresses and this plays an important role). To order here you need to find your needed drug by checking the categories of drugs and select it. doing so you are going to see information about the needed drug but I had to find out that you can’t order until you click on a banner. I discovered this by accident. Clicking on it you’re going to see the page where you should select the dosage and the quantity of pills. Click on the green icon with a cart on it. you would see your cart with items and the full price to pay. 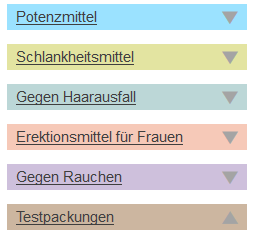 Click on *Zur Kasse*. There are 3 different steps until you place the order including the shipping information, payment, billing etc. Generally, I do not find the ordering procedure to be really convenient, a lot of customers may have issues ordering here, as I did. For this reason, I am going to rate them with 2 stars. Is GuteApotheke.org Legit and Safe? According to the information that I have managed to find on legitscript.com the website is legit. It has a 100% trust and the site looks safe to use. What is really strnage is the fact that the organization and owner name are hidden, plus to that, the phone number is from Czech Republic, although this site doesn’t seem to have anything to do with Czech Republic. The probable website origin is from Netherlands, US or Czech Republic – no Germany. 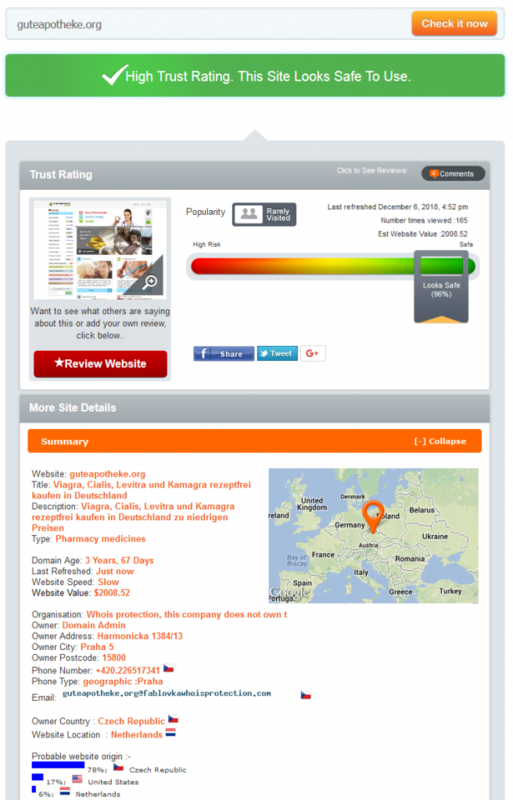 The website is very highly trusted by scamadviser.com and for this reason I will rate them with 4 stars. I can’t rate them with maximum as I feel that there’s something wrong. According to the information that I have managed to find on their website, a prescription is not required to get prescription drugs on this pharmacy such as Viagra or other ED drugs. Absolutely all the medications that can be found at this pharmacy can be obtained for free without a prescription and that’s a big problem as this is breaking the law. This pharmacy has fraudulent activity and this is why my mark can’t be more than 1 star. According to the information that I have managed to find on legitscript.com, this online pharmacy has a rogue approval status. This means that there is barely anything legitimate on this pharmacy. using a rogue internet pharmacy is really dangerous because you can end up being scammed and not getting anything at all or getting counterfeit medications. I am not able to recommend this online pharmacy to anyone without a legitimate status of the pharmacy. I did have found customer reviews on GuteApotheke.org but I couldn’t find customer reviews about the pharmacy itself. All the reviews left on this website seem to be written only about the medications they are selling there. The problem is that those reviews cannot be really trusted since we don’t know if the reviews are addressed to the specific medications purchased from the site, or to the medication in general. The reviews are unique, but they do not have dates attached meaning we don’t know when they were written and they are not addressed to the pharmacy itself meaning we don’t know the overall performance of the pharmacy. I translated the reviews and they are positive, however I don’t know how much trust we can have in them, I am going to rate them with 2 stars only. Regretfully, this online pharmacy did not managed to make any customers write any reviews on foreign sources about them. I’ve been trying to find customer reviews on foreign sources but I failed to do so meaning that nobody ever wrote anything about this company. The pharmacy really should do something about this to make customers write something about them. We just cannot ensure that the pharmacy is reliable without customer reviews and taking all of this in consideration, my rate is only one star. I’ve been searching for coupon codes on this online pharmacy allowing customers to save some money but I did not managed to find any coupons at all. There are no coupon codes, no discount codes or anything in this matter. Without anything to save money customers are simply not attracted to purchase here medications (maybe that’s why they don’t have any reviews), especially taking their pretty high prices for drugs. All I noticed is that customers are getting better prices per pill by purchasing more pills at once and they are getting free bonus pills (maximum number 10 pills) but you get more pills the more you buy. Except for these 2 options to save money – there does not seem to be anything else. In the end, my mark is going to be 2 stars, I doubt someone is going to be attracted by these methods to save money. I’ve been searching for the contact page but unfortunately, I have not found anything at all. I mean, it is not the fact that I was not able to find a contact us page, I haven’t found anything at all. There are no contact form, no emails, no fax, phone numbers or anything at all without physical address. With this being said, the contact information given on the website is none, none at all. It is obvious that without any methods at all, that’s a huge problems. How can customers talk with the pharmacy in case something goes wrong? That’s a huge inconvenience for customers and I simply can’t have trust in a pharmacy without any methods to get in touch with the pharmacy. obviously, my rate is 1 point. It is obvious that since it is impossible to get in touch with this online pharmacy, since there are no methods to get in touch with them, my rate is going to be 1 star. I simply have not found any methods to talk with them and as said earlier, that’s a huge inconvenience. GuteApotheke.org is a German online pharmacy since all the information on the website is written in Deutsch and customers have the opportunity to change the language only to French and Italian. The currency on the site is EUR. The assortment of medications is pretty limited with moderate diversity of drugs, although there are both generic and branded medications with pretty high prices for drugs here. We don’t know where exactly the pharmacy ships to but we only know there’s a single shipping option which cannot be obtained for free. The pharmacy has moderate technical characteristics of the site, without a mobile version, low security level of the site, inconvenient to order on the site and without an antivirus. The website is considered pretty safe according to scamadviser.com but there are still issues I found out. Plus, no prescription is required to be sent here indicating a fake pharmacy plus rogue internet pharmacy on legitscript.com. There are customer reviews only on their website only addressed to medications but no reviews addressed to the pharmacy not on their own website or foreign websites. A huge problem is the fact that there are no coupon codes offered and even bigger problem – there are absolutely no ways to get in touch with this pharmacy. I definitely won’t recommend this pharmacy, especially since there are no ways to talk with this pharmacy.